The internet has some dark corners, there’s no denying that. 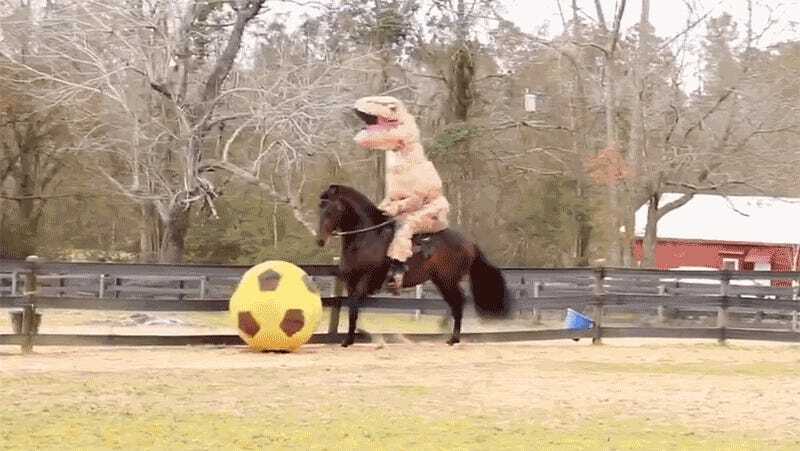 But how could humanity ever carry on without a tool that lets us share a brilliant video of a man in an inflatable T-rex costume riding a horse kicking a giant soccer ball? Lets make sure we never do anything to endanger the world wide web, because how else could we possibly survive Wednesday afternoons without it?